Our first article like this: ‘5 INDEPENDENT SPOTIFY CURATORS..‘ has been one of the most popular posts on our blog so far and the feedback we have received about it has been overwhelming. There is still a huge amount of mystery about how to get your music featured in Spotify Playlists and as it’s our mission to ‘Help artists & music companies to work more efficiently‘ we are trying to make the subject more transparent. Aside from Spotify‘s own branded playlists and the major label owned Spotify Curators like Filtr and Topify there are also thousands of playlists that are curated by individuals and independent companies. These playlists built by independent curators are often somewhat easier to get your music into and can help increase your Spotify plays, grow your following and eventually help to land you in the major playlists. If you make house / dance / electronic music, submitting music to be featured on the official Soundplate Spotify Playlists could not be easier. Simply hit the button below to go to the playlists micro-site and click the playlist you want to add your music to. Once you have submitted your music it will be listened to by one of the Soundplate team and the tracks they like the best will be added in the next playlist update. You can now also submit music to Spotify playlists using the SOundplate website which lists hundreds of indipendent playlists and allows you to submit music for free! Digster is technically not an independent curator as they are owned by Universal Music Group but don’t give up on them just yet. You can now submit music directly to their curators via SubmitHub. Hit the button below to send them your music now. They have more than 3 million playlist followers on Spotify! Tropikult, who are perhaps best known as a Soundcloud network and label are fast becoming influential tastemakers on Spotify. With more than 50 active playlists and a growing following, they have a playlist for everyone! Submit your music to be featured on their lists via their new website. Indiemono are one of the biggest, truly independent curators around. With more than a million playlist followers we just had to include them in this list. To send them music we again recommend using SubmitHub where they are actively searching for new music and updating their playlists all the time. This-List are smaller but have started to create some very cool playlists. You can submit music to their playlists via their website! TUNE brings you the best new alternative, indie, electronic, experimental, neo-classical and ambient music. They accept music submissions for their playlists via email ( tunenewmusic(@)gmail.com ) or you can submit to their playlists via Soundplate. Cloudkid is a super-cool EDM YouTube channel with over 1 million subscribers. They also curate a series of Spotify Playlists with a very strong following. If you are making EDM we strongly suggest sending music their away via SubmitHub. Hit the button below to send them your beats! 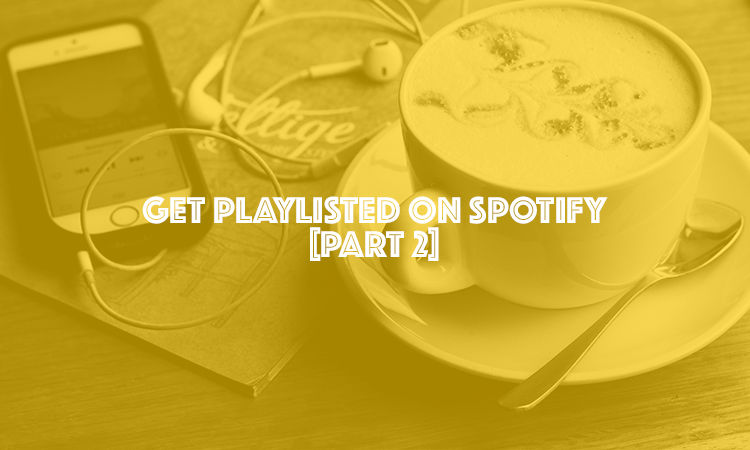 We hope you found this article really helpful and you manage to squeeze your music into the playlists listed above. The eagle-eyed amongst you may notice there are actually 8 curators listed (rather than 7 as mentioned in the title). This is because we included a couple curators that also featured in our last article so it only seemed fair to give you a little more value! If you have found this interesting or useful please kindly share this article on social media or leave a comment below, we love hearing from you and your emails, comments and social shares really inspire us to continue sharing more information, for free!